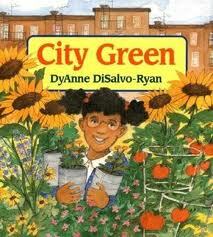 Congratulations to Marcy L. who is the giveaway winner of a copy of City Green. Marcy, check for an email from me! Thank you to everyone who entered the giveaway.